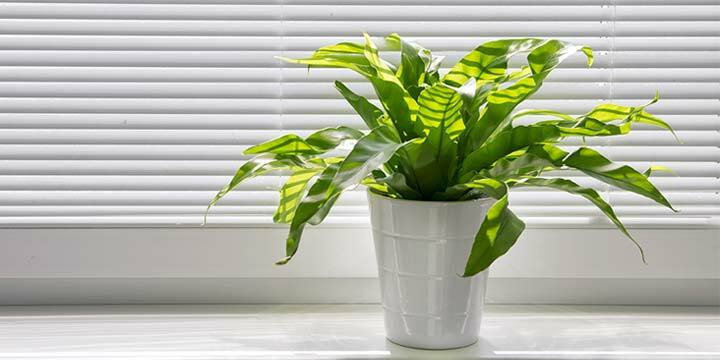 Home air quality is a large part of what makes a house feel inviting and comfortable. Sometimes, it can even make clean, well-maintained homes feel oppressive or dirty. It can also trigger asthmatic events, and it can lead to the development of longer-term breathing issues if your family is constantly exposed to irritants and other unhealthy elements in the air. What many people don’t realize about keeping the air in their homes clean is that it is not just a matter of washing or vacuuming. The detergents and products you use can actually contribute to your poor air quality, and so can many of your home appliances. Here are a few areas where you can do quality control on the air in your home. It’s very easy to let furnace check-ups go when you don’t see major problems with your home heating system. The same is true for air conditioners, both central air units and the portable kind. Keeping up with the regular maintenance on these units, including inspections and tune-ups that require you to call in a specialist, means that your home air circulation will be more efficient, making it easier for your furnace filter to do its job effectively. Installing a new furnace filter every six months is a recommended step in almost every home furnace maintenance schedule. Since air filters are replaced so frequently, it can be tempting to go budget and get lower-end filters with very basic features. Upgrading your air filter to one that is carbon-activated, HEPA rated, or is specially designed to be hypoallergenic will allow you to trap more and finer particles, making your overall home air quality much better without a lot of effort. 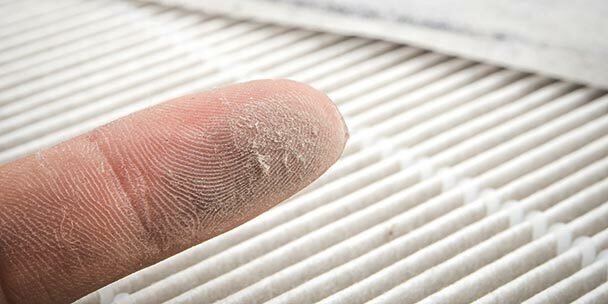 Furnaces and air conditioning units are not the only places where you will find air filters working to keep the air in your home fresh and clean. Dehumidifiers, home air purifiers, vacuum cleaners, stove hoods, and clothes dryers all circulate air, and they all have filters that need to be regularly cleaned, as well as ducting and fans that can leak dirty air if they are not properly maintained. Inspecting and fixing any issues in these appliances, or even just cleaning their air filters regularly, will help a lot with your home’s air. Most vacuum cleaners have basic HEPA-rated air filters, but you definitely get what you pay for. Going for a premium vacuum cleaner with a top-notch air filtration system and the ability to trap the finest particles in your air and carpet can help a lot. You do need to make sure to clean it regularly and to keep it from over-filling during use to realize the full benefits of this upgrade, but when you clean your home with a top of the line vacuum that is in peak condition, you will notice the difference right away. Inspecting under sinks and in bathrooms for black mold and cleaning any deposits you find right away is a key way to protect your family’s overall health. Mold is not just bad for your respiratory system, it can be toxic in other ways as well. If you find any deposits, clean them with a borax or borax-and-citrus mixture for quick, effective results. Then, assess the area for any repairs or other maintenance concerns you may need to fix, and dry it out before attempting any repairs. For bathroom mold, remember to run ventilation fans for about a half hour after baths and showers to help prevent new buildup. You hear a lot about toxins and other health problems, and it seems sometimes like those warnings might be a bit over-the-top. When it comes to cleaning agents, detergents, and other household chemicals, though, there really are a lot of harsh chemicals with fumes that linger, causing distress for people with sensitive respiratory systems, including children. You can easily reduce chemical fumes around the house and make it easier to breathe without compromising on cleanliness, though. Common, natural citrus can be used to make a variety of home cleaning agents that keep your air fresh while they scrub every surface clean. Other options using tea tree oil, vinegar, or combinations of natural solutions are also available. Relying on artificial air fresheners and other scent options, such as candles or incense, means putting adulterants back into the air. While they do cover the signs of poor air quality very well, they also contribute to the problems that come from having too many fine particles in the air, irritating lungs and throats and leading to problems for people with asthma and other allergies. Candles and incense are especially an issue, because smoke and other carbon particulates get into the air alongside the artificial scents. If you need some kind of fresh scent to pick you up around the house, consider dry alternatives that can be made from natural ingredients, such as orange peels. They will help freshen the house and improve your air quality without adding to existing issues with your air. Last but not least, if you don’t already have a home air purifier, it really is worthwhile to get one. Air purifiers help draw dust and other suspended particles out of the air, making it so your furnace filter doesn’t need to work as hard. Many are also capable of trapping fine particles that would normally come to rest on the carpet, where your vacuum would have to deal with it. This is an essential step toward air purity that also happens to have the extra bonus effect of being able to reduce the amount of work involved in applying your other strategies. Keeping the air quality in your home fresh and clean is an ongoing process, but it does not have to be a battle. Investing in the right cleaning strategies and the equipment to stay on top of them is a matter of adjusting to a new process, but once you have made that adjustment the day-to-day maintenance becomes easy, and you will be able to enjoy the benefits for years to come. You said nothing about people and pets. Dead skin and pet dander. You also didn’t mention sweeping. 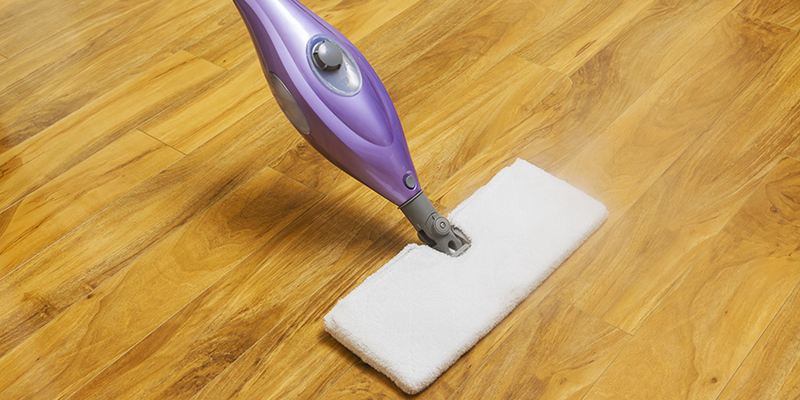 Sweeping puts 27 times more dust in the air than vacuuming!